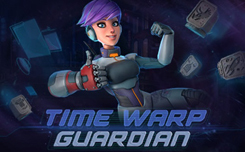 In the slot Time Warp Guardians, five reels and 243 paylines. On the drums of the game, you can see the main character, the tentacle of the monster, the robot’s hand and the electronic map. Wild (stone tablet), which is on the first and fifth drums. Itself does not bring any winnings, but replaces other elements in the chains and launches the prize functions. Re-Spins – Two wild symbols on one drum fix this column. On the remaining pictures are changed to new, as a result of free re spin. Time Warp Bonus – If four wild symbols appear in two columns, a special bonus mode is activated. On the screen there are two sets, three reels each. They are presented only high-paying pictures, identical symbols, mirroring each other in different windows, become wild. Jurassic Period – Eight free spins begin. Win-Hunting Wild appears in the center of the fifth column. If there is no winnings, it is shifted one position to the left. As soon as the payment is accrued, it returns to its original position. 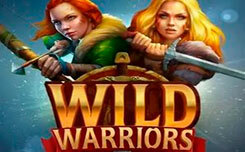 Antique Period – Ten free spins begin, at which from 1 to 3 characters, turn into wild, appear in randomly selected cells on the screen. 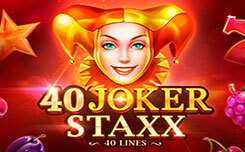 Distant Future – 12 free spins start. In the middle of the third drum, there will be a fixed wild. In the second and fourth columns, identical character sets will appear. 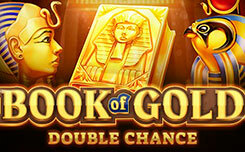 This is an interesting game with numerous unusual prizes, bonuses, symbols and other features.